Spartan's Ultimate Warrior series jetters pack a big punch in a compact package. The Urban Soldier, Urban Warrior, Ultimate Urban Warrior and Hi-Flow Urban Warrior are skid-mounted to fit in the back of your work van while still allowing room for other equipment. Flow ranges from 10 to 32 gpm at 2,300 to 4,100 psi. 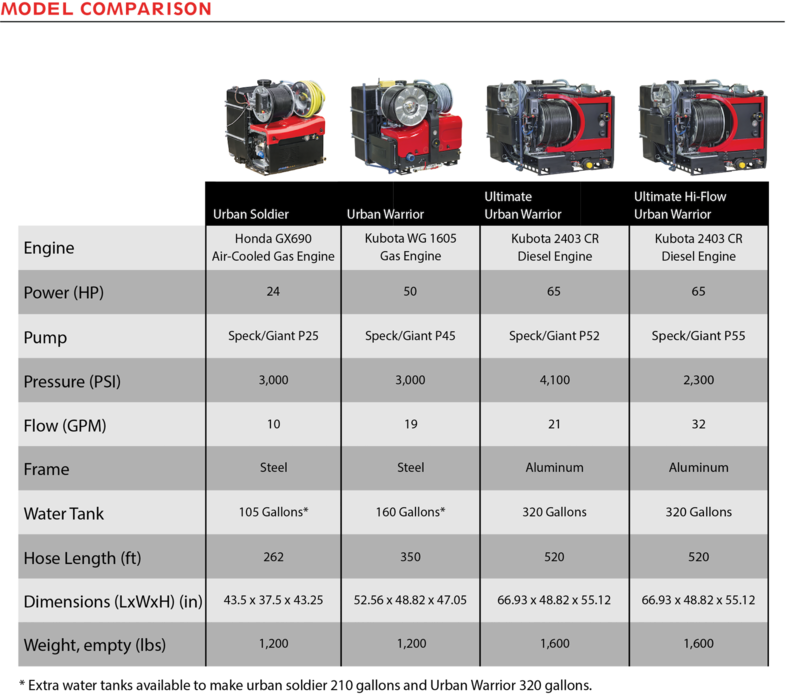 Get more information here on the features and specs of the Urban jetter series.